Paul Allen was not only a co-founder of Microsoft. He was also a great friend of music. FILE - In this Dec. 13, 2011, file photo, Microsoft co-founder Paul Allen pauses at a news conference in Seattle. Microsoft co-founder Paul Allen finally lost a fight with non-Hodgkins lymphoma yesterday, a disease he’d had since 2009, which followed a Hodgkin’s lymphoma diagnosis in 1982. He was 65. Bill Gates’ former business partner was also the owner of the Seattle Seahawks and the Portland Trail Blazers and a big contributors to charities throughout the Pacific Northwest. But let’s not forget that Paul was also a massive, massive music fan. As a guitarist, Paul was fascinated by everything rock’n’roll. In 2000, he opened the Experience Music Project, an interactive hands-on museum in downtown Seattle designed by renown architect Frank Gehry, which ate up $240 million of his own money. Unveiled as the Experience Music Project and Science Fiction Museum and Hall of Fame the name was shortened to EMP and finally changed to the Museum of Pop Culture in 2016. Earlier this year, a bronze statue of Chris Cornell was unveiled outside of the entrances. Paul also recorded an album with his band, Paul Allen and the Underthinkers, entitled Everywhere at Once. Here’s a sample. He was a fairly solid guitarist, too. 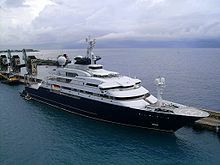 Paul was also the owner of Octopus, one of the largest private yachts in the world. 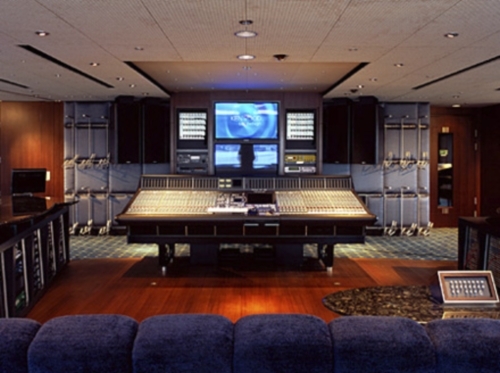 It was equipped with its own state-of-the-art recording studio. Mick Jagger has recorded there. And there’s more. Paul gave money to KEXP-FM, a public radio station with an eclectic musical bent. Paul also tried his hand at being a concert promoter in 2017, but that didn’t work out so well. Allen will be greatly missed by the music community in and around Seattle.